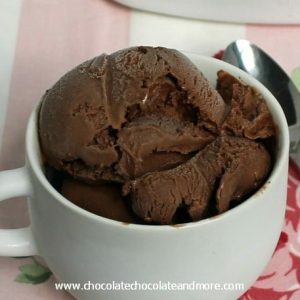 Peanut Butter Cup Ice Cream - Chocolate Chocolate and More! 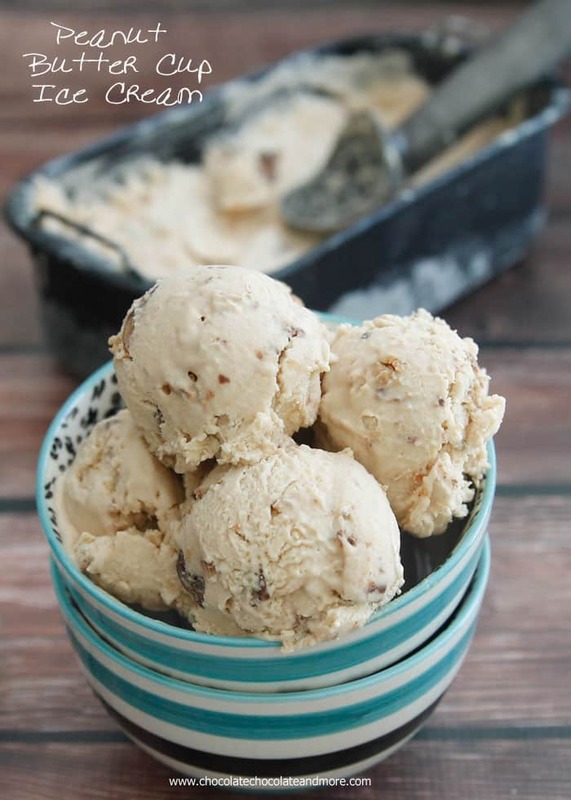 Peanut Butter Cup Ice Cream-creamy peanut butter ice cream with chopped peanut butter cups. Eat immediately as a soft serve or freeze for a harder, scoopable ice cream. Some people eat ice cream all year long. My kids do. There’s never a wrong time of year for ice cream for them. Me, I’m seasonal. Soup in the winter, ice cream in the summer. Maybe if it was warm all winter long, I’d eat it in the freezing cold of winter but in the winter, I need warm foods to warm myself back up. Summer, of course, is the opposite. Give me all the frozen treats you can find. Especially ice cream. 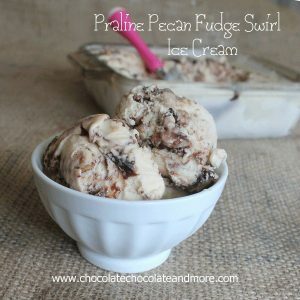 I’ve always loved making homemade ice cream, but it was a hassle. Even the no-churn ice creams, you still had to wait for them to freeze for hours before eating it. I’ve had my “old” ice cream maker for 20+ years. The kind you had to have a ton of ice, and rock salt. So noisy, you had to leave the room to hear yourself think. And then you still had to freeze your ice cream to make it a little more solid. It was a huge step up from my childhood of having to hand crank ice cream. Hot pink and huge! It became a chore to make ice cream with it. I finally took the plunge and got a new ice cream maker. I asked on facebook for recommendations and the overwhelming choice was this Cuisinart Ice Cream Maker . There is so much to love about it. It’s small but still makes 1 1/2 quarts of ice cream. It’s quiet! You can barely hear it running. No ice or rock salt! I can go back to saving my ice for drinks! 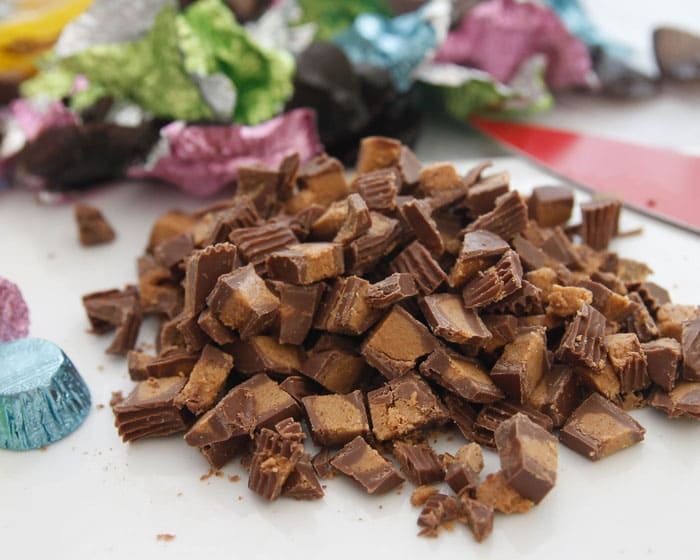 Tip for chopping peanut butter cups-turn them bottom side up. Then they’ll stay where you’ve put them. Also, be sure to “test” a few, just to make sure they’re fresh. 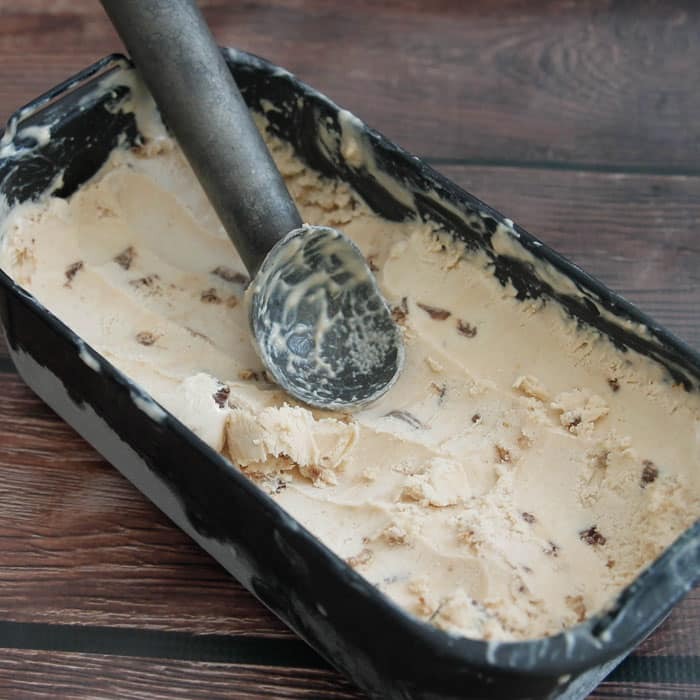 If freezing (in the freezer) be sure to let your ice cream sit out for 15-20 minutes before trying to scoop. This ice cream gets Hard! In a mixing bowl, combine peanut butter and sugar on low speed until smooth. Add milk and mix until sugar is dissolved. 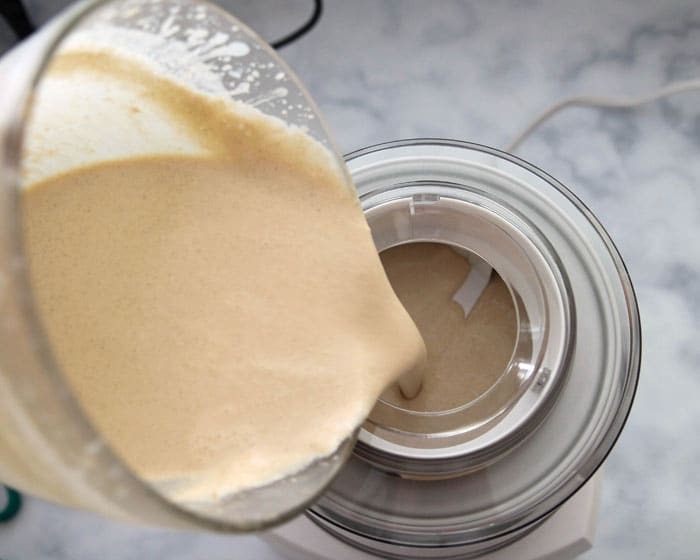 Stir in heavy cream and vanilla until blended. Cover and refrigerate for 2-3 hours (or overnight) until mixture is completely chilled. 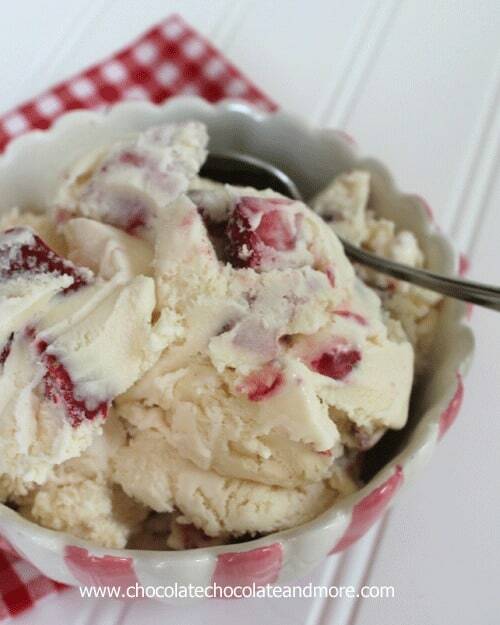 When ready to make Ice Cream, place mixture in Ice Cream maker and freeze according to manufacturer's instructions. 5 minutes before ice cream is done freezing, add in chopped peanut butter cups. 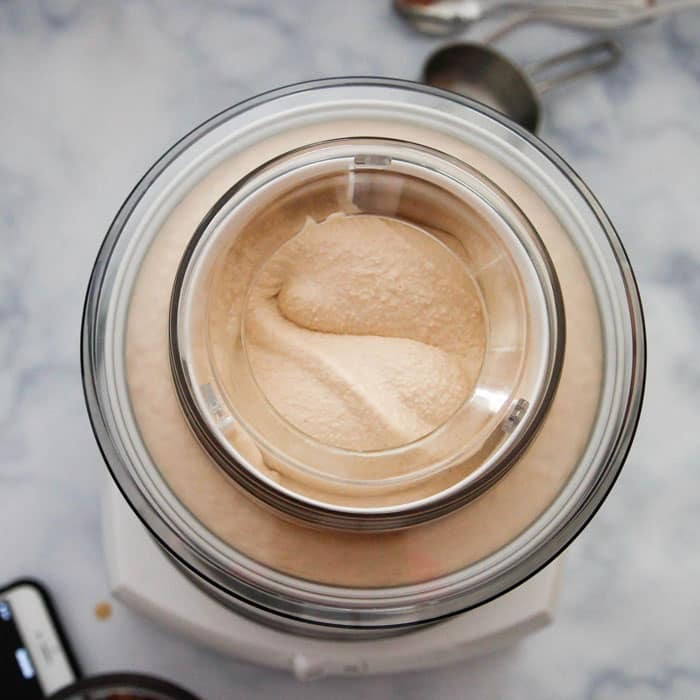 Serve as soft serve immediately or transfer to a freezer-safe container and freeze for 1`-2 hours for a firmer ice cream. Want more ice cream recipes? 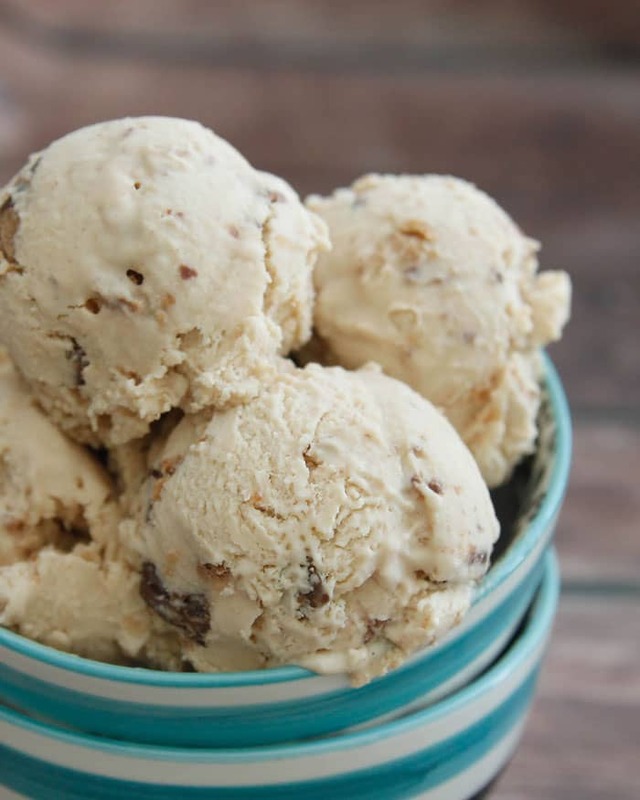 I am an ice-cream-year-round kind of girl and I LOVE peanut butter cups (Doesn’t everybody??)! Pinned! I love my ice cream maker! Finally last week, my boyfriend asked when we could take it out of the freezer, since it has been in there for over a year. I told him to take a hike, it’s summer time! I am drooling! 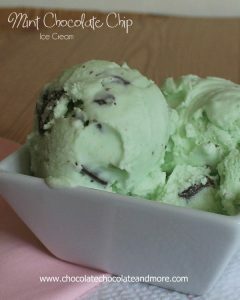 This ice cream looks amazing!!! I recently got a cuisinart ice cream maker too-I can’t wait to use it!!! I keep my ice cream maker in storage so that I don’t give in and make it all the time. This peanut butter goodness is going to require that I go get it out immediately!